MBChB (Birmingham 1988),MRCGP, DRCOG, FPCert, Diploma in Sports Medicine, Bath 2007. Dr Bradley joined the Practice in 1995. He shares responsibility for postgraduate training within the practice. MBChB (Birmingham 1999), MRCGP, DCH, DRCOG, DFFP. Dr Bird joined the practice in 2005. He shares responsibility for postgraduate training. Dr Quilter joined the practice in 2013 after completing her GP training in Shropshire. She has an interest in women's health and family planning and shares responsibility for undergraduate training in the practice. Dr Uppal joined the practice in 2014. She completed her GP training in Shropshire. She has an interest in women's health and family planning. Dr Hurst joined the Practice in 2015. She completed her training in Wolverhampton. Dr Liu joined the practice in 2015 and completed her GP training in the West Midlands. She shares responsibility for undergraduate training in the practice. 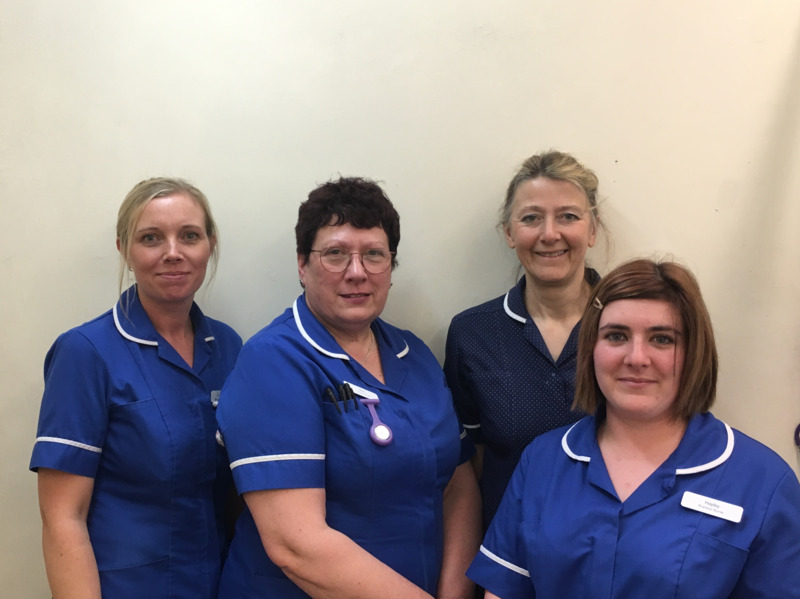 Our highly qualified team of practice nurses provide treatment room sessions, contraceptive advice, immunisations, minor illness and minor accident consultations. They are particularly concerned with preventing disease and promoting good health. Our nurses provide information and monitoring with Asthma, COPD, Diabetes, Chronic Heart Disease, Hypertension and Weight Management. The Practice Nurses are available by appointment Monday to Friday between 8.30 am to 12.00 pm and 2.00 pm to 6.00 pm (During the period 12.00pm and 2.00pm emergencies will be seen). Our Health Care Assistants perform a number of roles at the surgery, including new patient medicals, assisting in minor surgery, NHS Healthchecks, weight management, blood pressure checks, Help2Quit and phlebotomy. Val is responsible for the day to day management of the Practice and for providing business support to the practice. The Practice Medical Secretaries are available to help with any queries regarding referrals by your GP to hospitals etc. You can contact the Surgery Secretaries through the surgery phone number. The Reception Staff are available throughout the day to make appointments and deal with any general inquiries. The Dispensary is available to patients who live in the dispensing area (generally 3 miles from the surgery) and temporary residents. The Administration Staff carry out all the day to day clerical and administrative activities vital to the effective running of the practice. Phlebotomists take blood Monday, Wednesday and Friday 08.00 to 12.00 noon, via appointment. We work closely with the local team of district nurses, who are available through The Community Nurses on 01746 711960. The Health Visitors provide services for children under the age of 5, including running baby clinic, breast and bottle feeding support, parenting groups, etc. They are available on 01746 711958. If you are a parent and struggling to cope then please contact them for help and support. The Health Visitors are happy to be contacted if you have concerns about a child.